please contact me giving me your postcode. for this machine to be delivered to you in person. 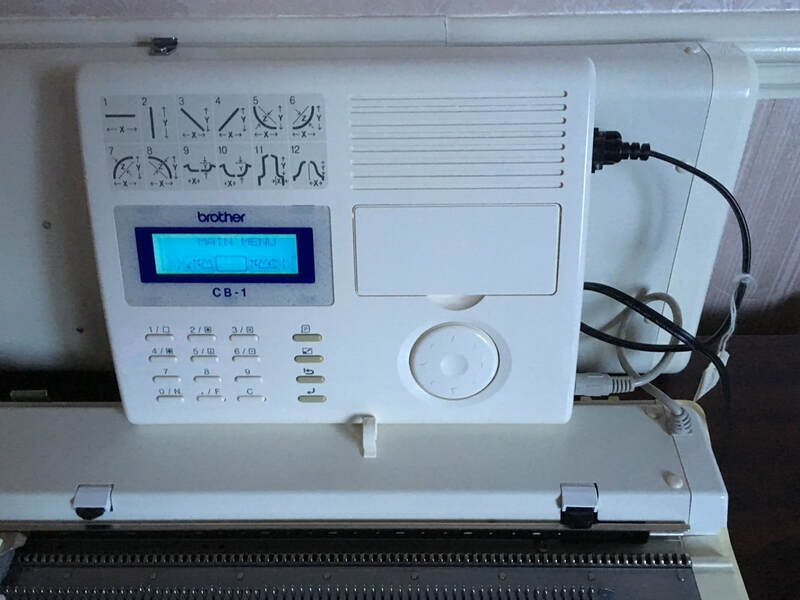 This machine has a fully computerised pattern system. which are shown in the StitchWorld III Pattern Book. and even with the KH900 electronic model. total knitting pleasure and unrestricted creativity. and a CB1 Control Box. which is used to enter all programming information. any of the ten software programs. in the comfort of your armchair. when you are ready to knit. Instructions can then be followed from the LCD screen. which explains the function of each icon on the LCD screen. and a memory to store your own created stitch patterns. reflection, double width, double length, rotation or negative. preparing your pattern to knit. giving you the opportunity to create your own special designs. by using the input buttons or a PPD Pattern Cartridge. shaping instructions are automatically calculated for you. using a Brother FB100 Floppy Disk Drive (not included). 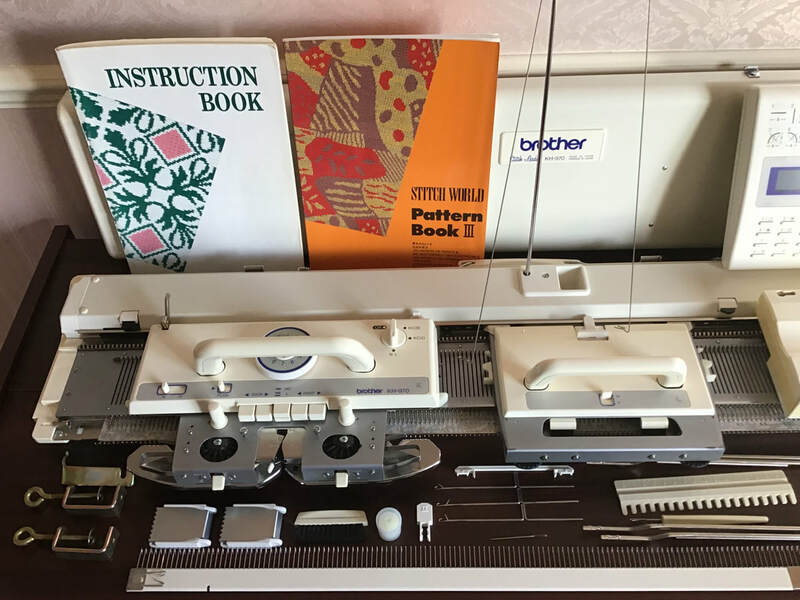 and download them to the knitting machine ready to knit. when to shape the garment pieces. to create any kind of garment you could wish for. is how easy it is to use. 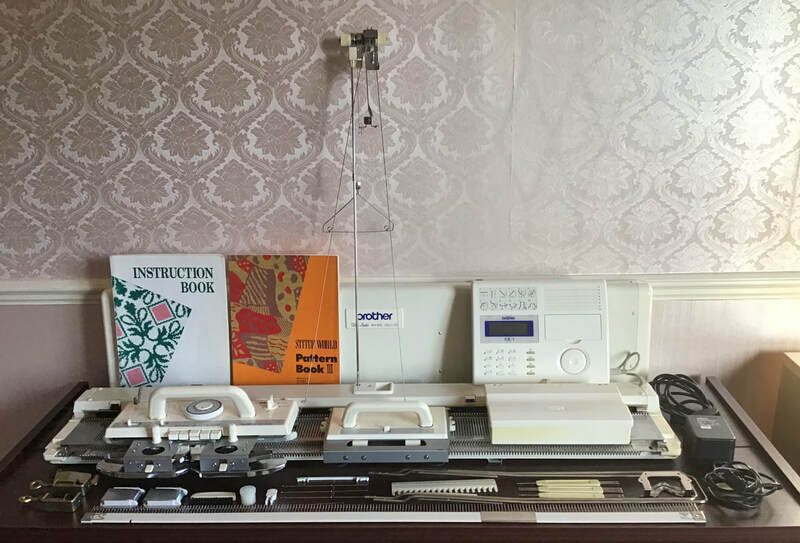 a very versatile and easy to use knitting machine. is used, but it is in very good used condition. just needs a light oiling and you'll be ready to go! 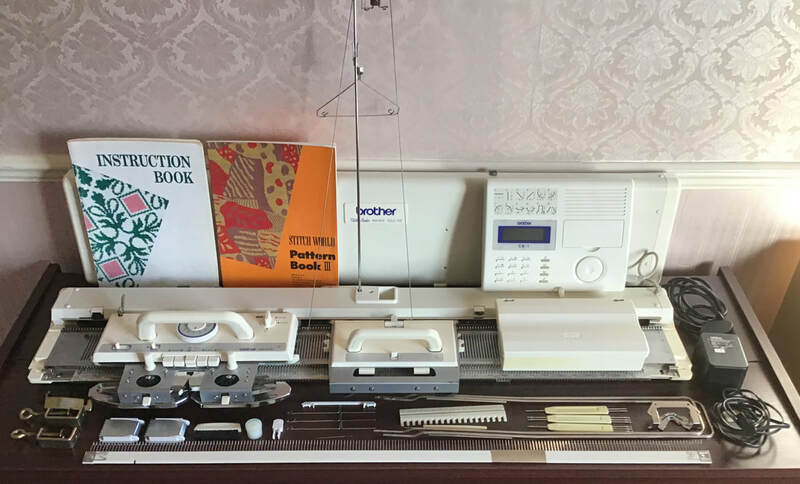 to ensure that this knitting machine is in very good order. for all the machine’s built-in stitch patterns. For use with the lace carriage or a garter carriage. it has not been used very often. very carefully stored when not in use. Just click CONTACT ME and you can get it quickly! 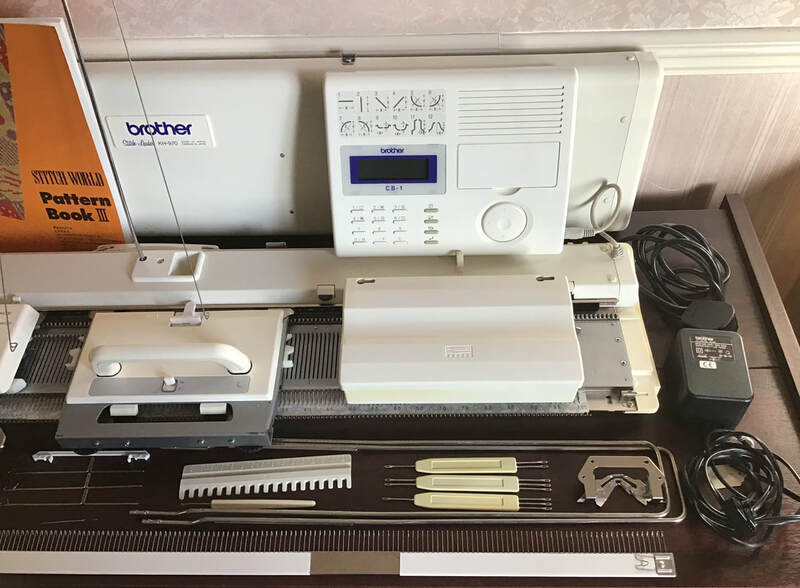 Brother KH970 Electronic Knitting Machine.